Want to explore iOS 12 new features? We know you are excited to get into the world of all new possibilities that the recent upgrade has outfitted to your device. Don't bother, you need not worry about the restrictions that normally comes in between during the iOS transition. Exactly, this article is here to assist you in your iOS 12 update concerns. Part 1: How to Update iPhone to iOS 12? Part 2: How to Avoid Losing Data before iOS 12 Update? Updating your iPhone to iOS 12 is easy; with few steps, you can do it quickly. Tap Download and Install once the update appears. Enter the Passcode when prompted and agree to the Terms and Conditions. Establish the connection with a proper cable and select your device in iTunes Menu. Check for the Update in the Summary pane. Method 2: How to Avoid Losing Data before iOS 12 Update? 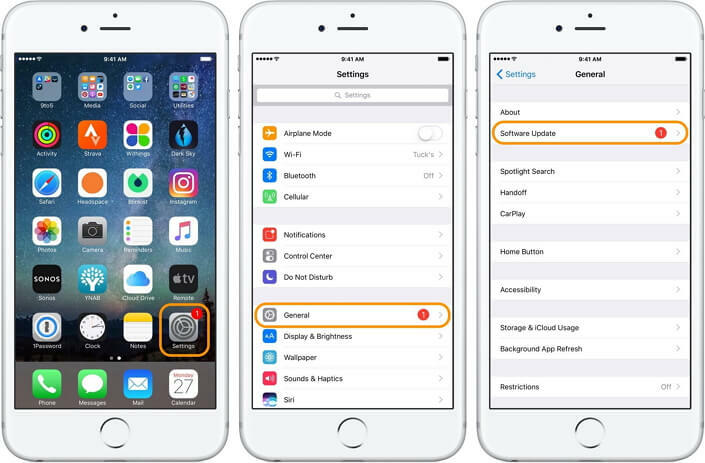 As each new iOS version has bugs and errors more or less, it becomes important for you to take the backup for your important files to avoid any prompt data losses. Keeping yourself at the safer side, you can enjoy the all-new iOS 12 features. iMyFone TunesMate brings to you the easiest option available to eliminate all your 'iOS 12 Update' worries. Created by iMyFone, TunesMate is a renowned third party alternative specially produced to supply enough ease to iPods, iPhones, and iPad users. Taking backup with TuneMate is super-easy, you can take secure backup of any of your media files, music, iTunes library, iTunes U files, applications etc. just in a click. That too, without thinking about the data losses and irritating errors. Whether you want to set ringtones, take backup, sync, transfer, delete or organize your files, TunesMate acts a perfect solution to all your concerns. It lets you transfer/sync data in both the cases, from your iPod/iPad/iPhone to iTunes/Computer or vice versa. You can share your iPod media and iTunes library freely with your family and friends even if they use a different Apple ID. Now get a complete hold on what you transfer with preview and selectively transfer functionality. Forget about data loss that you commonly face with iTunes. With TunesMate all your data is protected and it goes nowhere till the time you delete it as per your will. 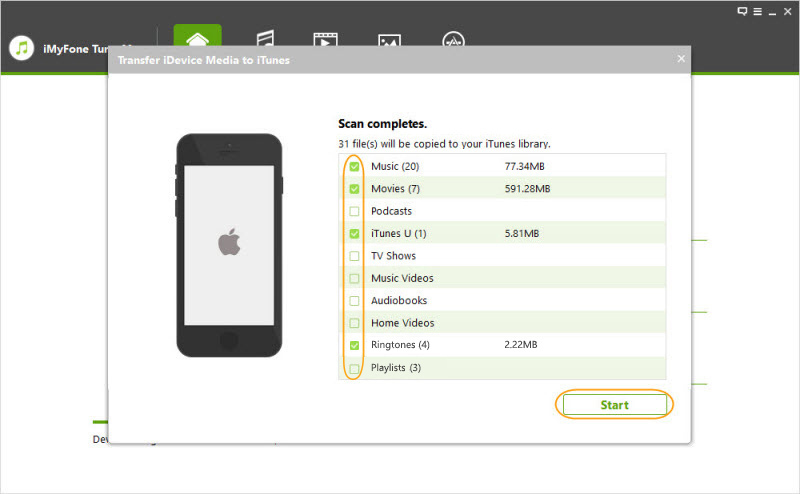 Enjoy file transfer just with a click and feel free to manage all your iTunes data your way. Using TunesMate is extremely easy; with only a few steps you can use it like a pro! Launch TunesMate on your PC and connect your iPod/iPhone/iPad with a suitable USB cable. 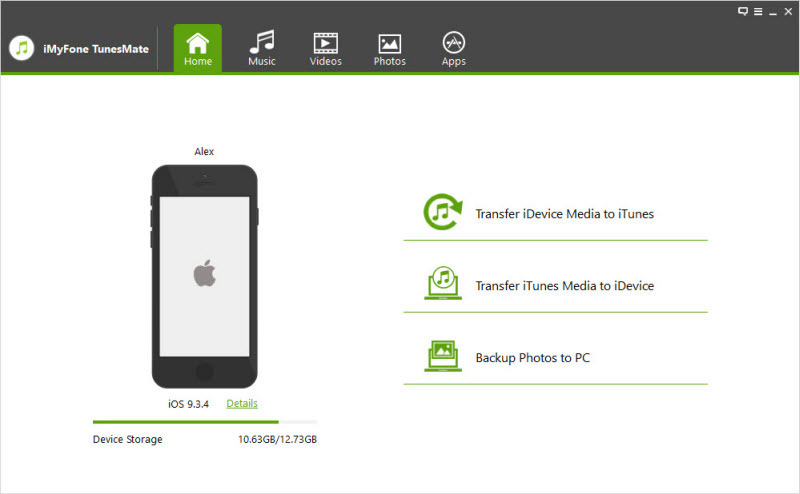 Choose "Transfer iDevice Media to iTunes" and select the data you want to backup. Click the ‘Transfer’ button to smoothly transfer/sync your iTunes data to your iPod. Enjoy, it’s done! How to Restore Backup to New iPhone XS (Max) / XR?